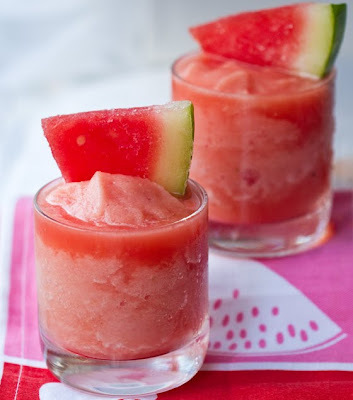 As today was rather warm, I could have done with one of these delightful watermelon frosties. Might have made work a bit more fun, too. Alas, I had to make do with iced coffee. But these look like a delectable bit of refreshment for another day.